Jonas Blue at Beach House Sundays Beach House Sunday's is the Largest weekly Electronic music event on the Gulf. DJ's From around the globe perform on a stage right over the Gulf of Mexico. 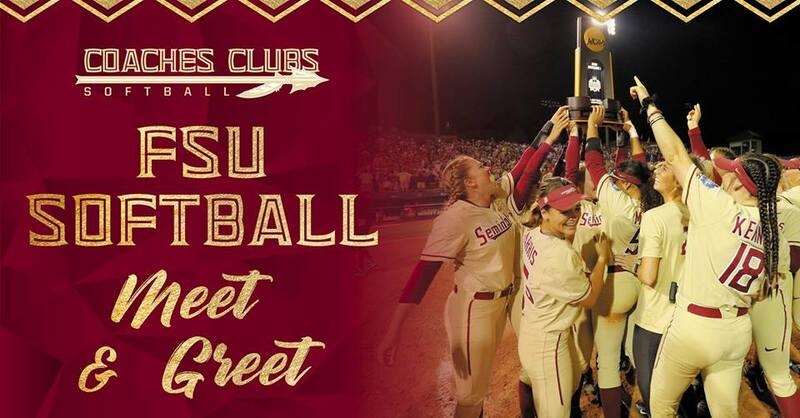 In conjunction with the ESPN Elite Invitational in Clearwater, Florida, Seminole Boosters invites you to join us for a special meet & greet with your National Champion FSU Softball team and coaches on Friday, Februrary 15th at Shephard's Beach Resort. From 6-8 pm, enjoy a special opportunity to mix and mingle with this special team**, enjoy light hors d'oeuvres, entertainment, and access to a cash bar. Please confirm your attendance by registering at the link provided. We look forward to seeing you in Clearwater! **Event special guests are subject to change based on changes in tournament schedule and/or weather. *Seminole Boosters and Seminole softball fans, enjoy a special offer of 25% off your hotel stay (3 night minimum) at Shephard's Beach Resort. Please call 1-800-237-8477 to make a reservation and mention the promo code NOLES. *After the reception, stay for dinner at Shephard's Beach Resort. Seminole fans will receive 15% off of their dining bill on Friday, February 15th in Ocean Flame restaurant. For more information on Shephard's Beach Resort, visit http://www.shephards.com/.